Hello all, it is my greatest pleasure to be here with you all. 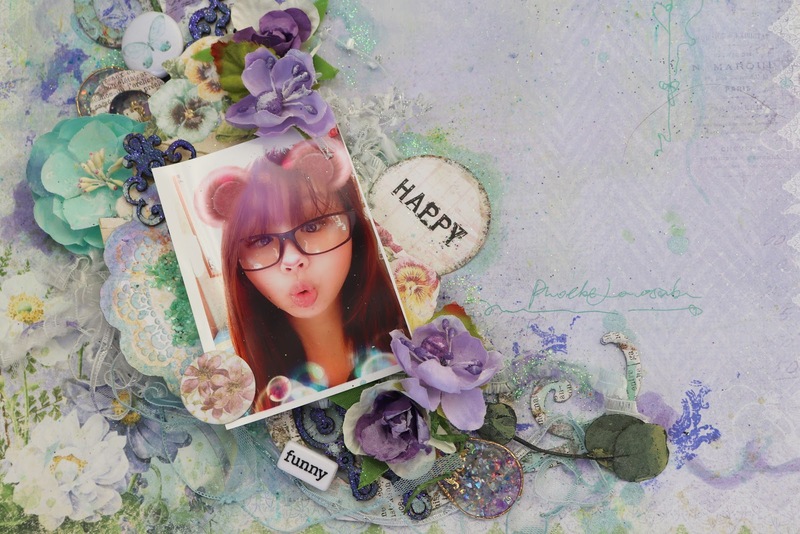 My name is Phoebe Tonosaki. I get married with a Japanese at 2004 and moved to Japan since then. I have always loved paper crafting and any creative activities. challenge to things that I was not able to when I was young. I started off with altered arts and then soon fell in love with scrapbooking as well. imagination a great deal and I get comfort and peace when creating them. 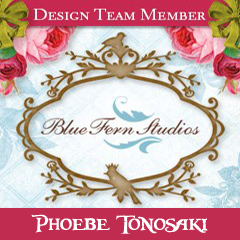 Blue Fern Studios has always been my first choice when doing mixed media layout. and the paper quality is always on the top rank especially because I love to do heavy layering. I am thrilled to be able to on the design team 2019! Hoping to share many inspiring and interesting projects with you all ! So here please let me share my first project ! Since this is the first time many of you get to know me. I want to show you some of myself ! 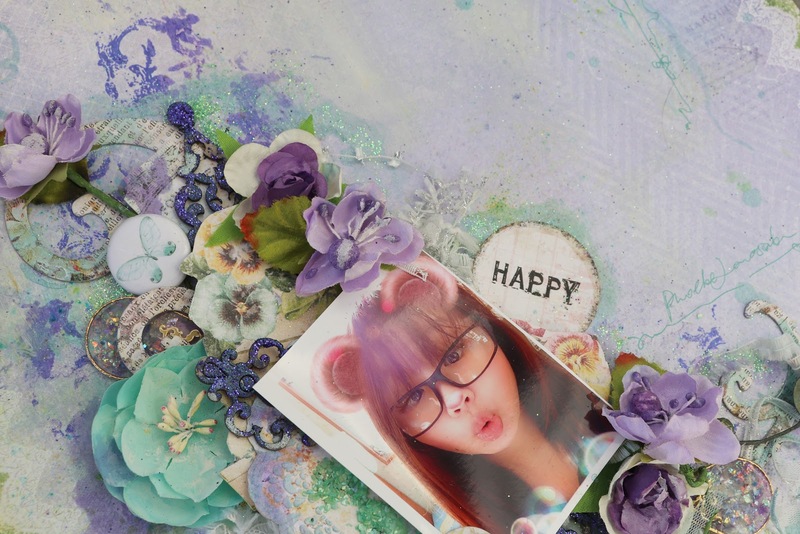 I chose Purple and Green as the main colors cos they are my favorite colors. I started with using Stamp - Home Accents to make subtle and brief pattern on random area. 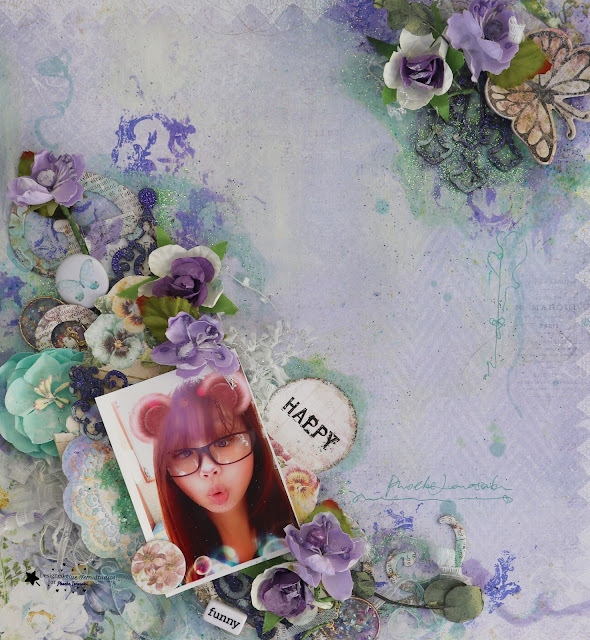 I used "Spring Parade" as the base, matching up with chipboard Jeweled Page Baubles which embossed with embossing powder "Pansy", then a piece fm the self adhesive printed chipboard shapes "Artisan Collections Remnants"to create the layers. 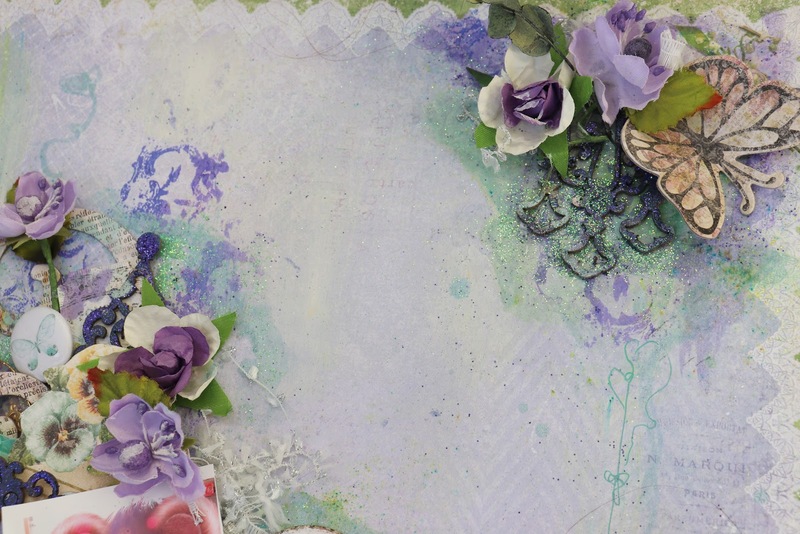 Then I used multiple Blue Fern Studios flowers in purple and mint green to add more elements to the whole piece. I only added very briefly sprays around the two areas to link up all the colors. I hope you like my first work and looking forward to hear fm you ! So pretty. 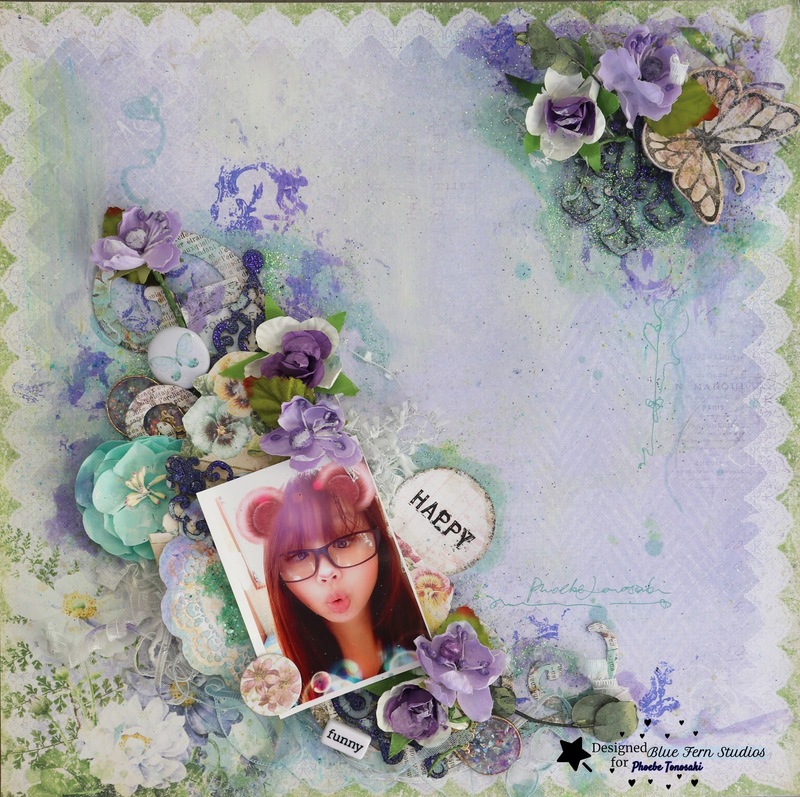 I love Blue Fern Paper and like making mini albums with it. Yes ! 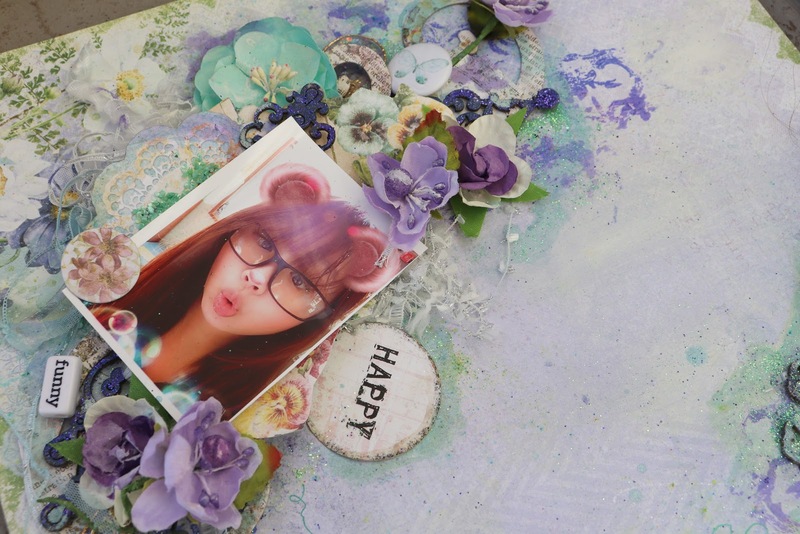 BFS paper is the best for album. Thank you so much Marci !